Early 20th Century Wood Artist's Model (Artist Lay Figure, Mannequin Posing Model) -- Free US Shipping! Original 1940s-'50s Felt Pennant of Snowmobile Tour Columbia Ice Fields, Jasper, Alberta -- Free US Shipping! Early 20th Century Wrist Compass, Swiss made -- Free US Shipping! 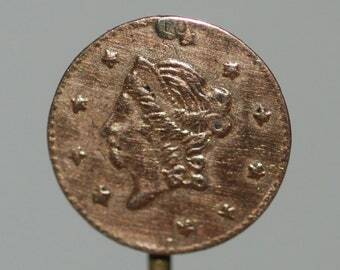 1871 Gold Half Dollar Coin Stick Pin -- Free US Shipping! Original 1930s-'40s Felt Pennant Souvenir from Wasaga Beach Ontario -- Free US Shipping! 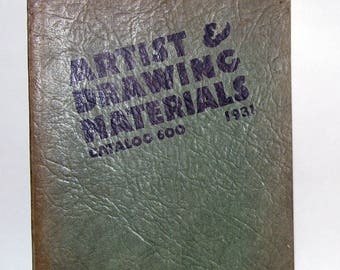 1931 Artist Supplies Drawing Materials Catalogue Weber Philadelphia -- Free US Shipping! 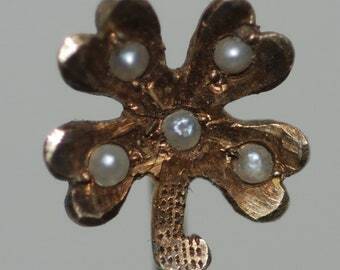 Victorian Era 10K Gold 4 Leaf Clover Stick Pin -- Free US Shipping! 1950s-'60s Souvenir Felt Pennant Sioux Trading Post, Ogallala Nebraska -- Free US Shipping! 1930s Little Joe Wiesenfeld English Saddlery Equestrian Supplies Catalogue No. 112 Baltimore -- Free US Shipping! 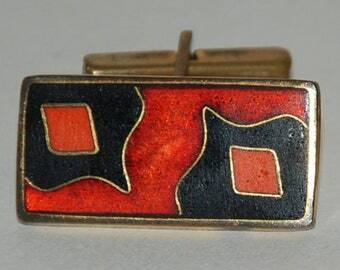 1870s-'80s era Gentleman's Banded Agate Solitaire Stud -- Free US Shipping! 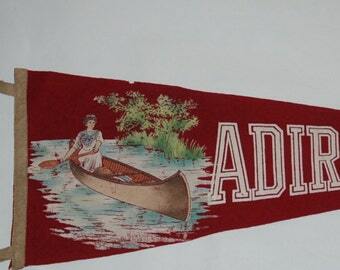 Rare early 1900s Adirondacks Souvenir Felt Pennant — Free US Shipping! Victorian/Edwardian Era Brass Paper, Letter, or Bill Clip in Boot form — Free US Shipping! Ornate Victorian/Edwardian Brass Horseshoe Paper, Letter, or Bill Clip — Free US Shipping! 1950s Era Original 1000 Islands Felt Pennant Souvenir, Sewn Letters -- Free US Shipping! Victorian/Edwardian Classic Form English Brass Paper, Bill, or Letter Clip — Free US Shipping! 1920s-'30s Era Leather Motorcycle Tool Kit Case (empty) -- Free US Shipping! 1920s era Lot of 5 Large Format Wedding Photos — Free US Shipping! 1920s-'30s era Sterling Silver Tazza or Footed Pedestal Server Dish — Free US Shipping! 1920s '30s era Gold Filled Monocle -- Free USA Shipping! 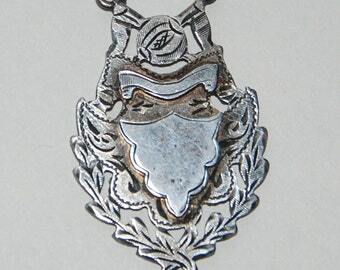 Victorian Edwardian Sterling Silver Sports Medal — Free US Shipping! Original 1940s Sewn Letters Felt Pennant Upper Canada College -- Free US Shipping! 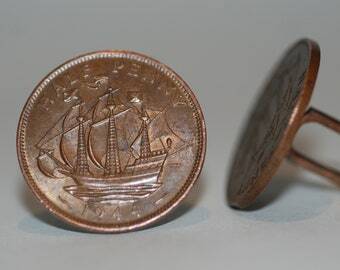 1950s-'60s era English Half Penny Cuff Links 1944 1942 -- Free US Shipping! Even though our Etsy shop name is Antiques for Men (because I wanted a shorter dot com), it really is Antiques for Men & Fearless Women. It started a joke my wife made in that we focused on items that were traditionally only of interest to men but the stats quickly showed that half of our customers were women (some buying stuff as gifts, some buying for themselves.) We joked that they were fearless women crossing into man cave territory. So that's all it is: a tongue in cheek attention seeking device. If you approve, then it was my idea; if you don't like it, talk to my wife.